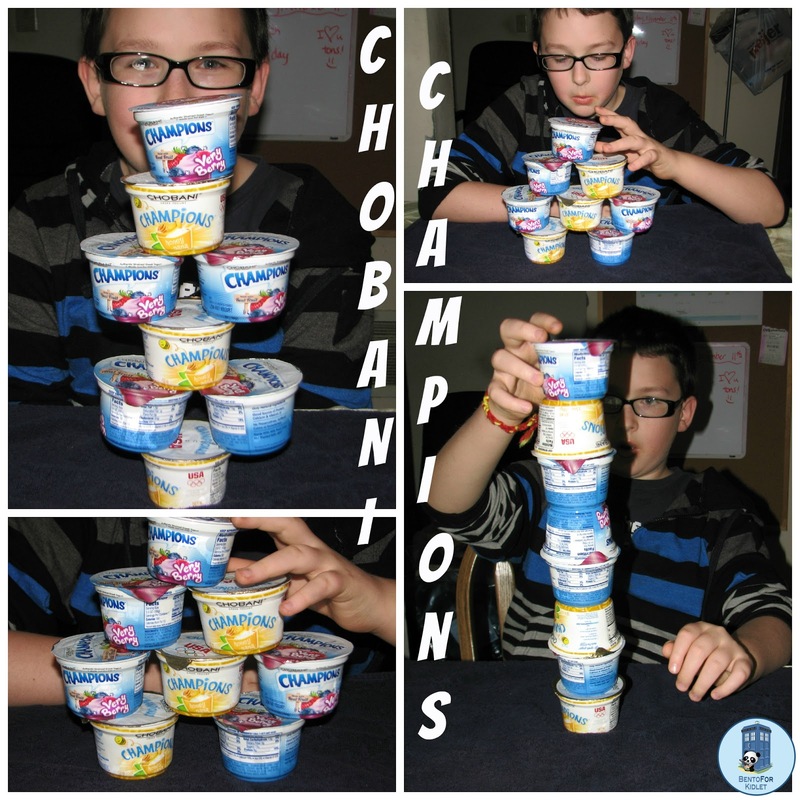 Bento for Kidlet: Chobani Champions Yogurt Review and Giveaway! Kidlet eats a lot of Greek yogurt. Being a vegetarian I like the extra punch of protein it gives him. And it's delicious :) Kidlet wasn't a big Chobani fan so I was skeptical of the Champions yogurt but we gave it a try and I am so glad we did. Kidlet LOVES the Champions yogurts! His favorites were the Chocolate Chunk and the Very Berry. I liked the Orange Vanilla and the Honey Nana! Champions are a thinner Greek yogurt which kids seem to really like. You can check out lunches I've made using Chobani Champions HERE. Want to try some delicious Champions of your own! The awesome people at Chobani are letting me give 2 readers (that's YOU!) each 6 packs of delicious yogurt! What could be better? We are fans of Chobani as well! They are not falling prey to the artificial garbage that so many of the yogurts have in them! And my kiddo is a fan of the Honey one! Huny nana. Mmmmm... That sounds good! Anyone of those flavors sound good!!! I love, love, love Chobani!! Chocolate chunk would be my favorite! My daughter and I love Very Berry! Very Berry is my very favorite! It's my boys fav as well. Those are some pretty impressive stacking skills! We're in full support of Champions cup stacking as a new sport. I tried the chocolate chunk, and I like it, but I really want to try the Orange Vanilla! We love the chocolate chunk (just got some yesterday)... but would love to try the orange vanilla. I am excited about honey nana! Honestly my boys love ALL of them!